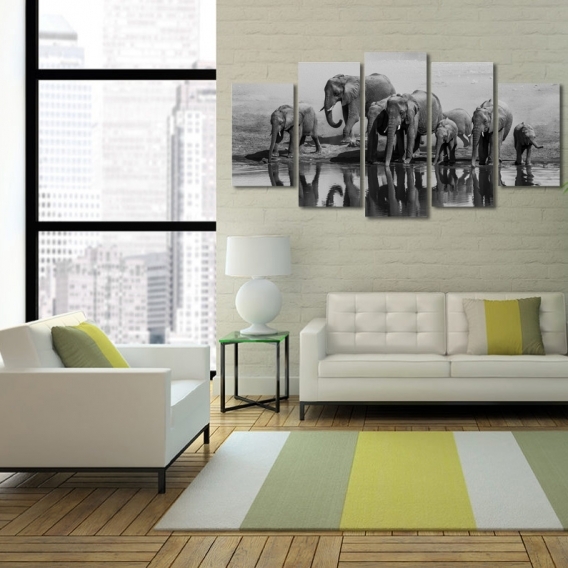 A beautiful printed canvas of elephants at the edge of the water. This nature canvas print is perfect for a large white wall for your home. Worldwide shipping for this animal canvas print with protection carton. 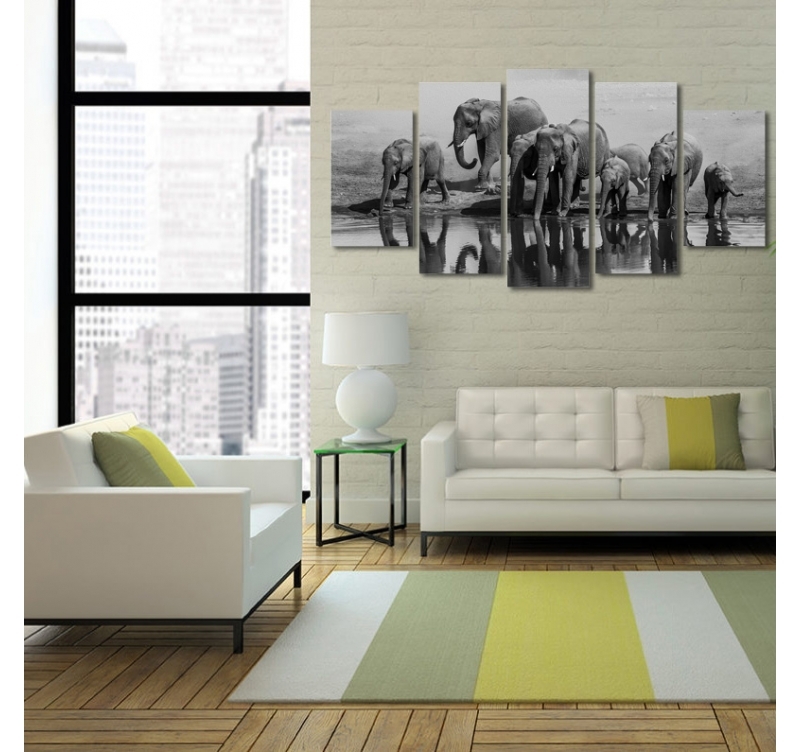 A wall canvas more real than life with these elephants who come to refresh themselves at the edge of the water. A decorative frame is always more beautiful with animals represented ... The proof is with this beautiful frame design in several panels of pachyderms. This animal decoration plunges you into the heart of an elephant family from a scene of their everyday life. 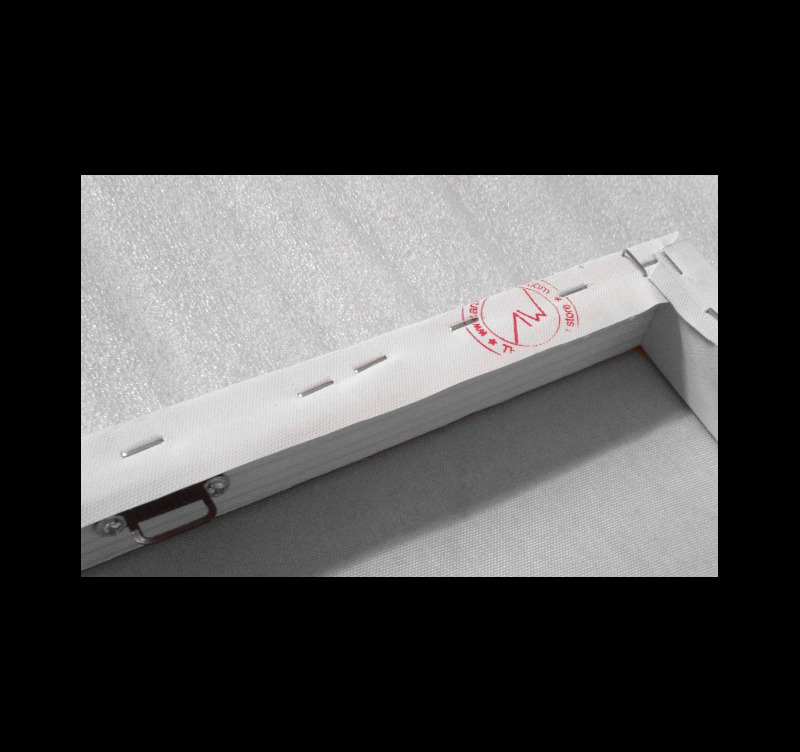 The XXL size of this modern canvas allows you to decorate a large white wall with gray tones that will delight in a modern, contemporary or bohemian interior. The bottom of the table shows the reflection of each animal to have a double vision in the same wall decoration. Each mural in the animal category is printed on cotton canvas and stretched on a Canadian pine wood frame. 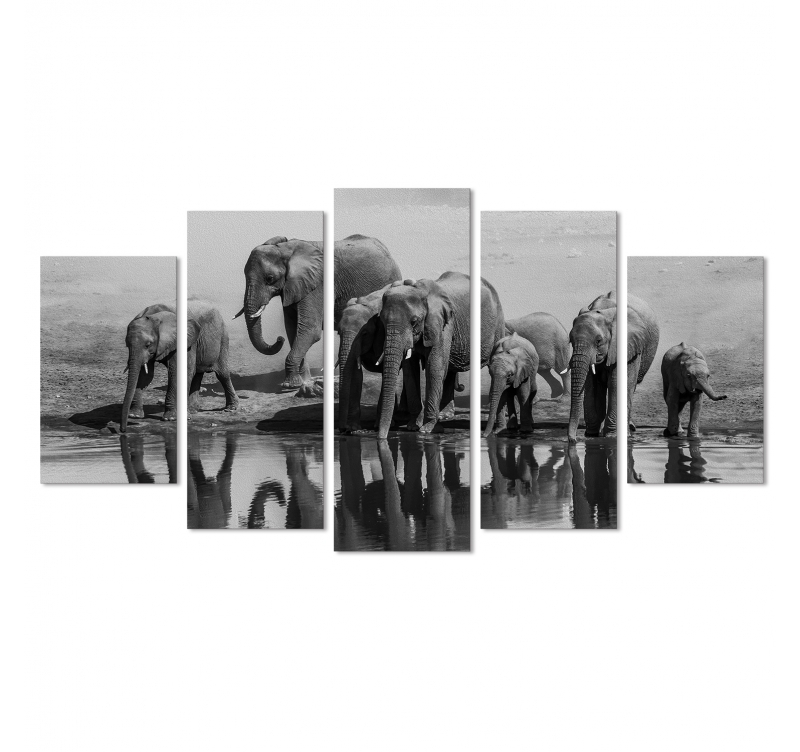 This elephant frame comes in pack with cardboard corners as well as hanging hooks.